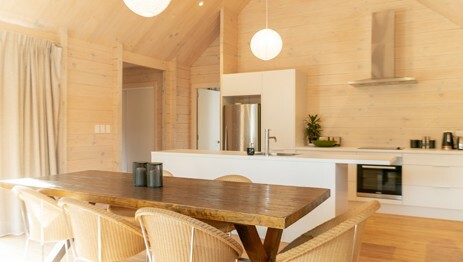 One of the key points of difference about Fraemohs Homes is that we feature timber in our homes. Our Solid Timber homes have walls made out of solid wood, while our Timbermode range of timber frame homes can have timber match lining as a feature interior lining. Timber is a sustainable, natural, renewable resource. It has an elegance and warmth that makes a home attractive to live in. As well as adding a classic, homely feel to a house, timber is energy efficient and has a lot of amazing properties that make it a fantastic choice as a building material. One of the many reasons why wood has been used throughout the ages as a construction material is because of its durability and safety. Anyone who has lived through the Canterbury or Kaikoura earthquakes will know that many of the structures which performed best during the earthquakes were made of timber. Our Timbermode homes use conventional timber studs during the timber frame construction. Often with timber cladding which is classed as a light weight cladding. This reduces the overall structural weight and stress on a building, which is important when you are building in an earthquake-zone. Our Solid Timber homes performed exceptionally well in the earthquakes. In fact they made national headlines, with many of them being singled out in news media for coming out unscathed despite incredible proximity to fault lines in earthquake zones where other houses were demolished or badly damaged. As one owner said: “the house just rattled and rolled and then settled back in place, we felt really safe in our Fraemohs Original Timber home during the earthquakes”. This is because of the interlocking design of our homes and because wood has a little bit of give in it, which allows it to flex and move if the foundations shift, unlike steel, bricks or concrete. The properties of natural timber also help to create a healthier home. Wood “breathes” in a way that man-made materials do not and helps control moisture levels indoors so that your home will feel drier, warmer and be easier to heat effectively. Timber’s ability to help prevent dampness from accumulating is especially important in bedrooms during the nights, making your home more comfortable and healthier to live in. Wood’s insulating properties can also help to reduce energy leakage from your home, making heavy timber very energy efficient. Finally, timber is an environmentally-friendly choice as it is a renewable resource. 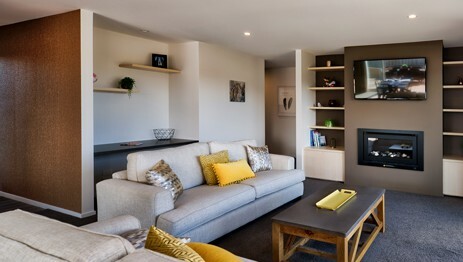 All Fraemohs Homes are made from sustainable timber that is grown here in New Zealand, with the result that when a Solid Timber home is finished it is effectively “carbon negative”. This means that it is a better choice for the planet than imported timber which has used up extraordinary amounts of fossil fuels being transported here from overseas. By choosing a Fraemohs timber home you are actually doing your bit to help reduce climate change. 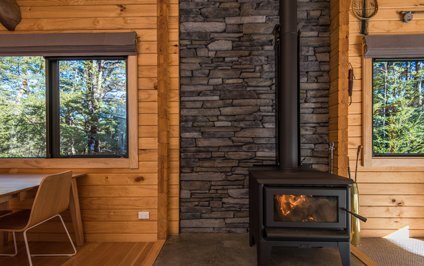 Learn more about building sustainably with New Zealand timber on our Eco Homes page. Timber as an optional feature, or a stunning log home.